The winners of the third annual Ursa Major Award (formally the Annual Anthropomorphic Literature & Arts Awards), for the Best in anthropomorphic/"funny animal" literature and art first published during the calendar year 2003, were announced at a presentation ceremony on Saturday, June 5 at the Canadian Anthro & Cartooning Expo (C-ACE) 2004, held at the Chimo Hotel in Ottawa, Ontario on June 4 - 6, 2004. The Ursa Major Award is Anthropomorphic (a.k.a. Furry) Fandom's equivalents of s-f fandom's Hugo Award, mystery fandom's Anthony Award, horror fandom's Bram Stoker Award, and so forth. The Ursa Majors are administered and presented by the Anthropomorphic Literature and Arts Association (ALAA), an organization dedicated to promoting anthropomorphic literature and arts both within and outside of the fandom. Nominations and voting for the awards are open to the public. The physical award consists of an illustrated trophy certificate or plaque, designed by the artist Heather Bruton. The image at right designed by Heather Bruton is available for winners to post on their websites. Eligibility in ten categories was for works featuring intelligent &/or talking animals first published during the calendar year 2003. This could include new compilations of older works, such as a new collection of previously-published separate works. The winners are chosen by popular vote among those participating in Anthropomorphic Fandom who, first, submitted their nominations for the winners, and then voted upon a final ballot consisting of the five finalists (those receiving the most nominations) in each category. by M. C. A. Hogarth, in Anthrolations #7, November 2003. "Doggy Love" by Scott Bradfield , in The Magazine of Fantasy & Science Fiction, August 2003. "Kiss and Tell" by Gene Breshears, in Tales of the Tai-Pan Universe #32, March 2003. 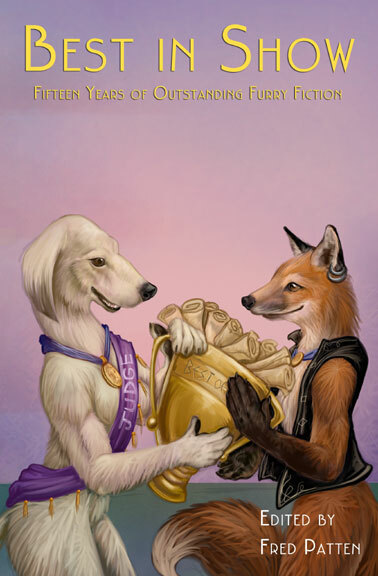 "Riding the Lady" by Charles P. A. Melville, in Tales of the Tai-Pan Universe #33, July 2003.
of Best in Show: Fifteen Years of Outstanding Furry Fiction (by Fred Patten) Sofawolf Press, July 2003. 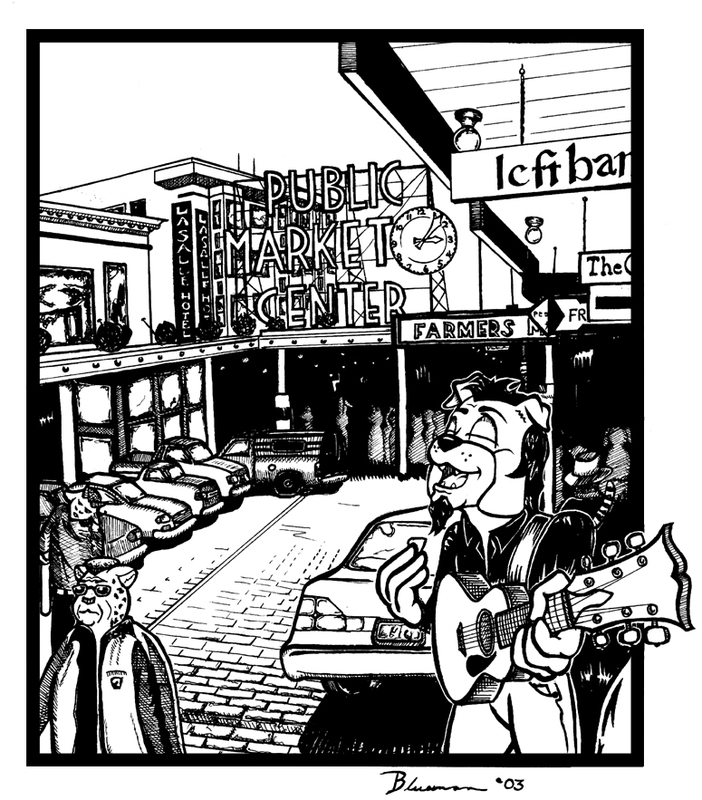 "Busker at Pike Place Market", interior illustration by C. D. (Bluesman) Woodbury, in Conifur Northwest 2003 Program Book, September 2003, page 41. 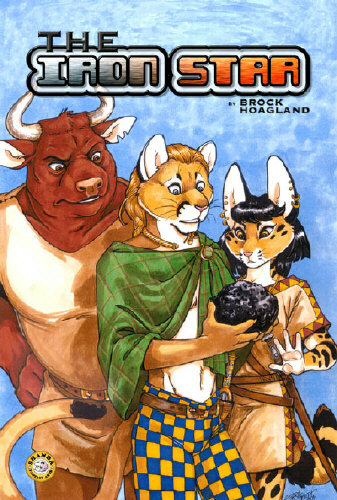 Cover of Genus #62, October 2003, by Yamaneko-ya. "Husky in Buddhist Robes", interior illustration by Sky Rigdon, in North American Fur #11, January 2003. Cover of The Iron Star (by Brock Hoagland), by Terrie Smith. Shanda Fantasy Arts, July 2003. 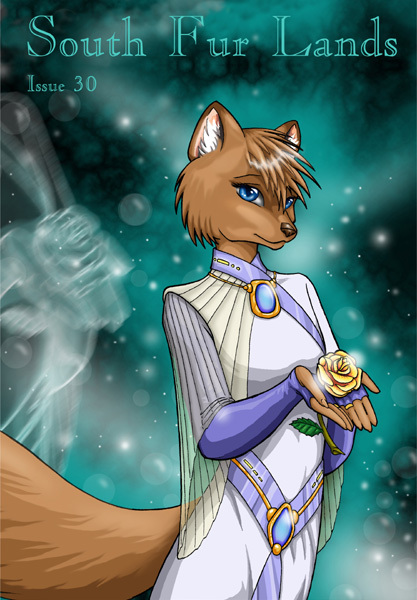 "Celestial Fox", Cover of South Fur Lands #30, September 2003, by Peta Hewitt. Impossible Creatures. Developer: Relic Entertainment, Inc.; Publisher: Microsoft Game Studios, January 7, 2003.